The Starbucks of South Korea is making a splash in NYC. Caffe Bene has an ambitious US rollout plan. Caffe Bene, the most popular coffee chain in South Korea, which models itself on traditional European coffee houses, recently expanded to the US with an ambitious rollout plan that will see retail locations in all five boroughs of New York City. The latest has been confirmed in Koreatown, where the company will occupy a 3,500 s/f space in the ground floor retail space of 39 West 32nd Street. That location will open in September. The deal was brokered by Sam Ahn of Newstar Realty, along with the managing agent for the building Rikin Sheth of Berik Management.Terms of the lease were not disclosed, but retail rents in Koreatown are around $200 psf. 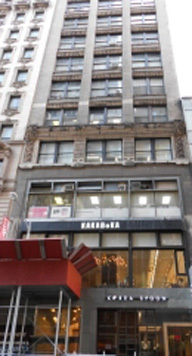 Amit Egan-Datwani is an associate with the family-run Datwani Holdings, which owns 39 West 32nd Street in Koreatown, a mixed-use building occupied by creative, tech and professional services tenants and the popular Korean hair salon, Kakaboka, on the second floor. 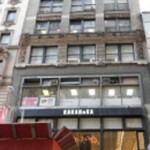 The building at 39 West 32nd Street currently has 10,000 s/f of office space available for lease. Asking rents for office space in the neighborhood are in the region of $40 psf. A team from Blu Realty Group, which is primarily focused on residential real estate, helped scout locations for the coffee chain, which said it wants restaurants in Union Square, Little Italy, Brooklyn Heights, Long Island City and Washington Heights, among other locations. Currently, locations in Midtown West, the theater district, Chelsea, Greenwich Village, Sunnyside and Flushing, Queens have opened. Caffe Bene will be going up against NYC coffee giants Dunkin’ Donuts and Starbucks, which have 515 and 283 locations in NYC, respectively, according to a December 2013 report from the Center for an Urban Future. So Far, Caffe Bene has 99 outlets in the US, according to its website. New Jersey locations include spots in Hoboken, New Brunswick, Jersey City, the forthcoming America Dream Mall, and Edgewater. The company has also expanded to California, Texas, and Illinois, and is planning locations in Pennsylvania, Virginia, Maryland and Massachusetts. 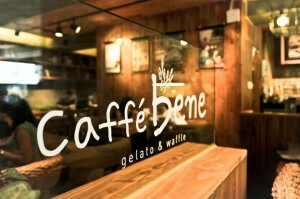 Caffe Bene has nearly 1,000 locations in South Korea, and 317 in China.